Whether a beginner or advanced learner – we offer all kind of courses! Each course is taught by academically trained native speakers. Study English in the cultural capital Berlin! Whether for professional, academic or private purposes – at Mentora we have the suitable English class for you! Berlin is the city outside of Turkey in which Turkish is most widely spoken. Therefore we offer Business Turkish lessons for written and overall correspondence. Situated in the heart of multilingual Berlin, Mentora language school combines the best scientifically certified approaches in language training. Our teaching staff is not only proficient in linguistics but has both the pedagogic methodology as well as the intercultural awareness needed to provide a sound and sophisticated language training. Our students are taught in small groups aiming at creating a familiar atmosphere which allows our teaching staff to show consideration for the specific background and the individual needs of the course participants. Whether English or German – at Mentora language school our students learn with and from each other. Language tandems help the participants in developing and fostering communication oriented skills. As a part of the BAU Global Education network, Mentora language school enables and organizes unique language trips for the students to make their culture and learning experience lively. In this way, we can guarantee success to all students who are willing to learn. We at Mentora language school believe in our instructors! That is why we guarantee a free re-trial of the course in case you fail the final exam despite having attended all lessons. Mentora language school is situated in the cultural centre of Berlin, close to the very popular district Friedrichshain-Kreuzberg. Berlin is one of the most exciting cities in Germany and Europe, in terms of culture as well as business. It is the perfect place for people seeking to discover different facets and communities of a multicultural society. Our small classes allow for lively communication within the groups and thus create a pleasant learning environment which optimizes our students’ learning results. Our classes consist of max. 10 participants. To create a dynamic and vivid learning environment, we at Mentora language school rely on the latest technology and education software, such as Bose audio speakers and Apple screens. Our teaching staff at Mentora language school consists of academically trained native speakers. Each of them possesses excellent professional experience in language education. Our instructors take an active part in training in which they familiarize themselves with the latest teaching methods in language education. BAU Global network consists of 4 universities, 2 language schools and 6 satellite campuses. At Mentora language school we value and practice diversity in our classrooms as well as amongst our staff. Our consciously maintained multicultural environment does not only contribute to a positive learning atmosphere but also ensures great memories to share once returned home. 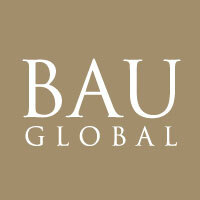 BAU Global is committed to exchanging and transferring knowledge. How to find us and all about Mentora Language School.